Valkeala Bostad 13 has been named after the Pukkila family. 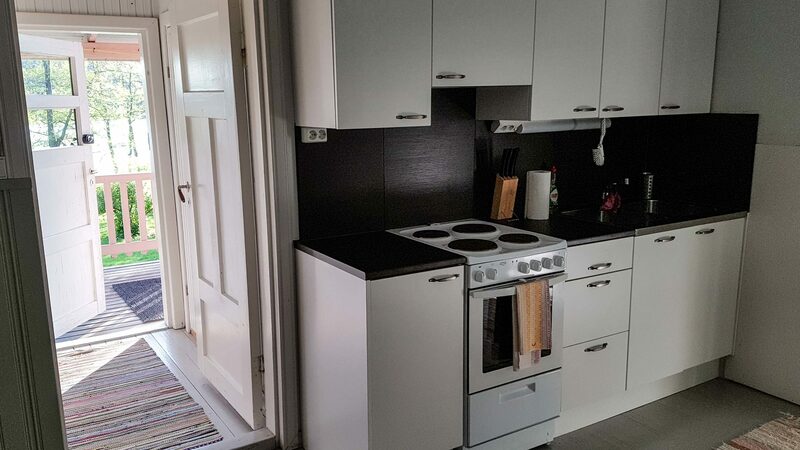 Starting from the 1920's and until 1945 the house was inhabited by Lydia (maiden name Lippu) and Daniel 'Mustache-Tane' Pukkila, who used to work at least as a stroker and a greaser, and their children. The Pukkila family lived in the cottage by themselves. "When Pukkila gals fried potatoes they sliced them so thin, and they fried them on the stove and put them in their pockets, and when they went anywhere they ate them and gave them to others as well", recalled an old denizen of Verla. The Pukkila family used to have a garden plot in the yard, and during the war they would also plant tobacco seeds there. In the shore there was a diving board on a large rock where people used to dive, a small playhouse and a pig, chickens and a rooster. In the 1940's a second entrance was made to the end of the house as the Pekkalin family moved into the large room. That "large room" hadn't been kept warm and it had been used by a band called Capella as their practice space. During the Kukkola period, in the 1950's, that factory-facing end of the house housed a painter's workshop. 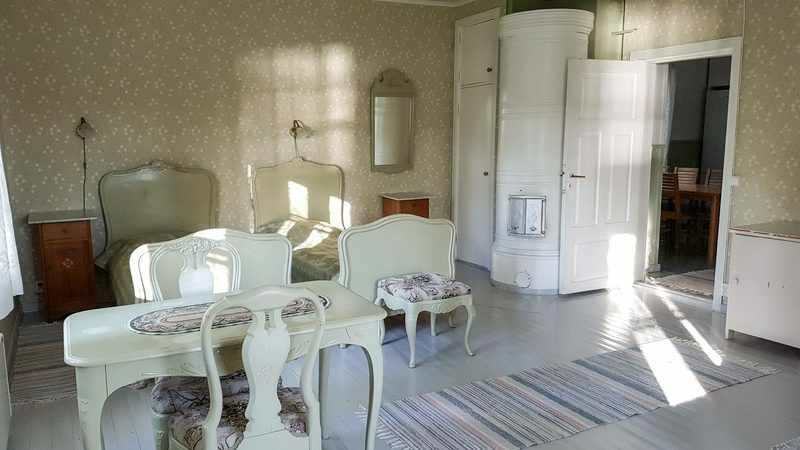 The cottage may have been originally owned and built by the painter Nestor Kukkola. 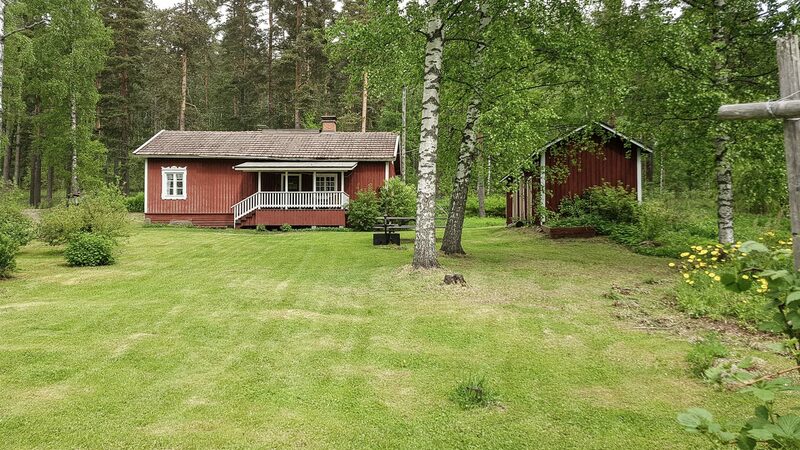 The cottage has also been marked in a 1920's map as the house of painter "Nestor Kukkola". Nestor's son, Veikko Kukkola, used to work at the factory as a painter for the outdoor work department from 1937 to 1954. According to tradition there is a story related to the Kukkola period: "And they had a cowshed that they rented out. A bachelor lived in the cottage, he was not mean or scary, but the children respected him. He had a real old-fashioned household compared to the others. He ate from a wooden bowl and put the spoon into a crack in the wall once he had eaten. He also had good apples, so the boys used to steal them in the fall." The latest occupants also include the Rinne family who lived in the cottage's factory-facing end. The other end was inhabited by Lempi Mustonen and her daughter. Lempi worked at the factory as a sorter in the finishing department, weighing cardboard pieces. 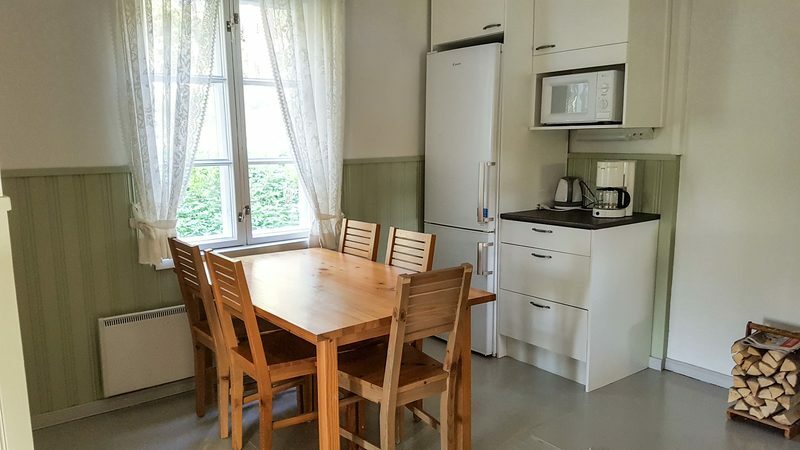 Pukkila is a 75 square meter wood cottage built in 1895 with a kitchen-living room and two bedrooms. The yard has a large lawn and a private shore. 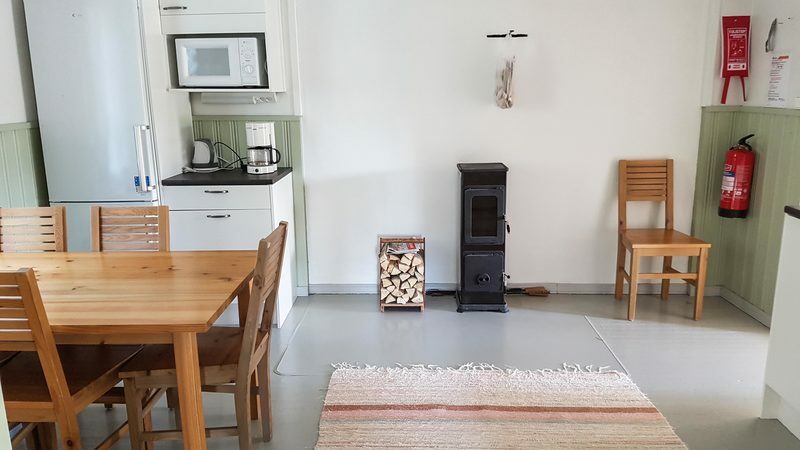 The cottage houses four to six people. 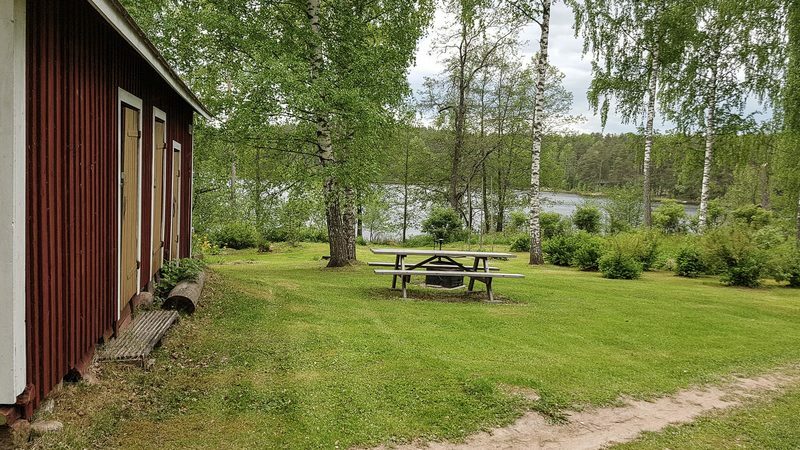 The cottage is located approximately 500 meters from the Mill Museum at the Vähä-Kamponen shore, downstream of Verlankoski. The cottage has road access. Note: Bed linen or towels are not included. 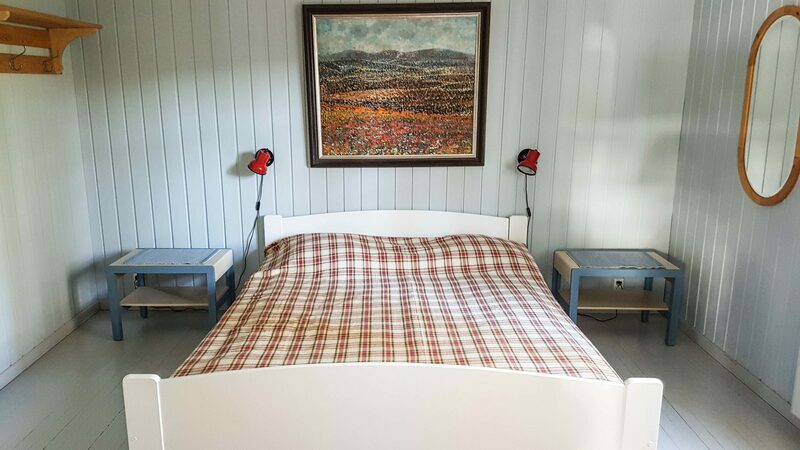 You can add bed linen to the basket at the booking summary as an additional service. 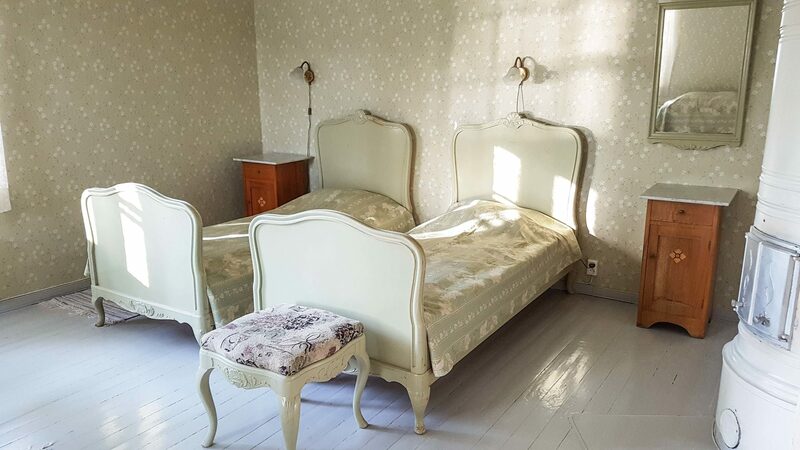 The guest is responsible for the cleanliness of the cottage, its yard and all attached services. Trash should be sealed in a plastic bag and put in the waste bin located at Seuratalo. Pets are allowed in this cottage. Pet owners should pay special attention to the final cleaning so that the next visitors will have a pleasant start to their stay. 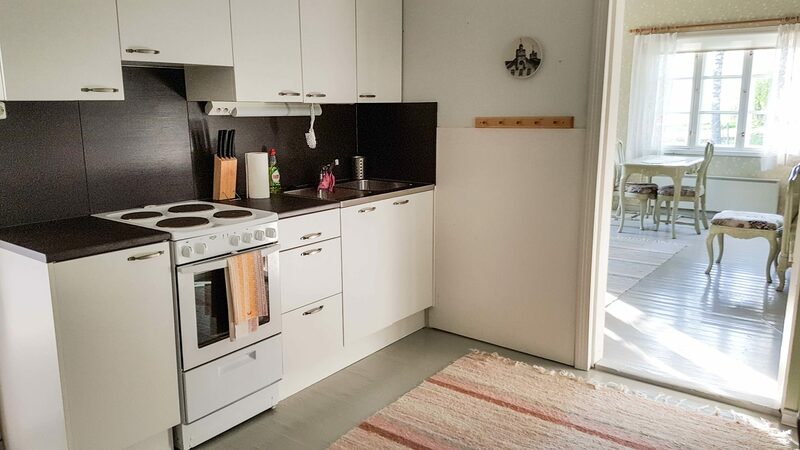 Raili-Kaarina Cottages (4 pcs) and Pukkila share the same sauna. 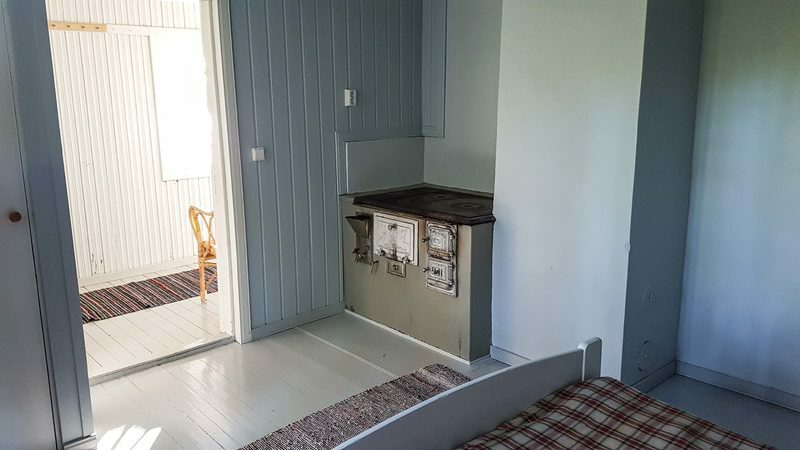 Reservations to the sauna are done separately. 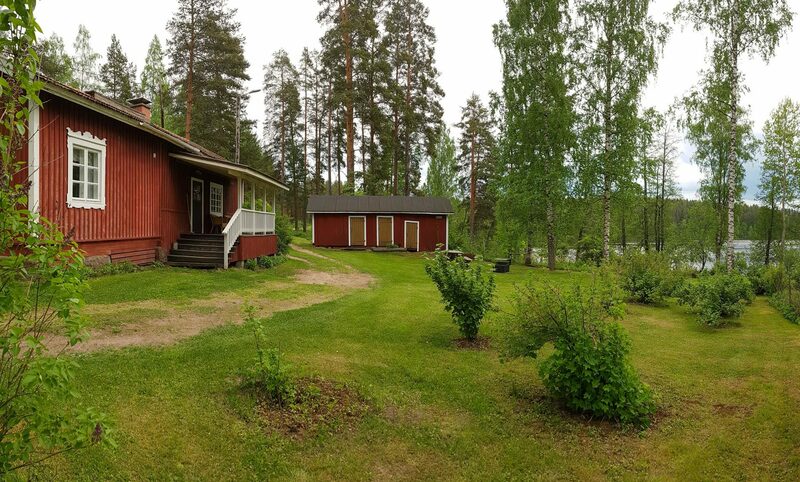 Distance to the sauna is about 70 m.
Big yard with a fire place. Private shore with a pier. 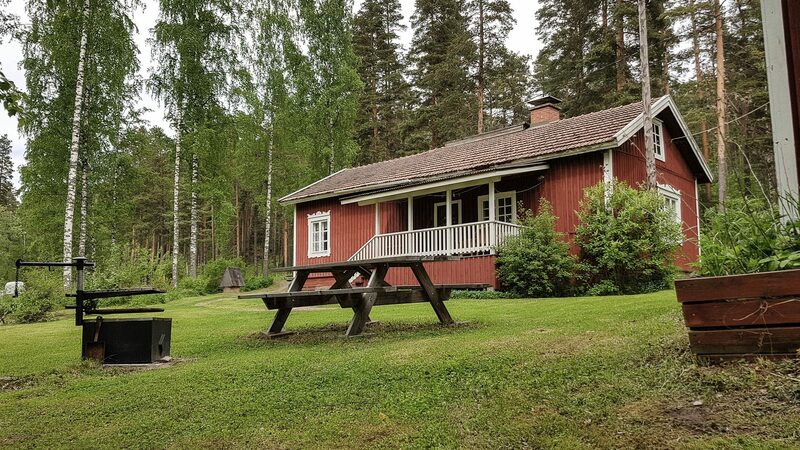 Verla Cottages and Cabin are part of the World Heritage. The whole village with the groundwood and board mill in the middle represent a great piece of cultural history of Finnish forest industry. 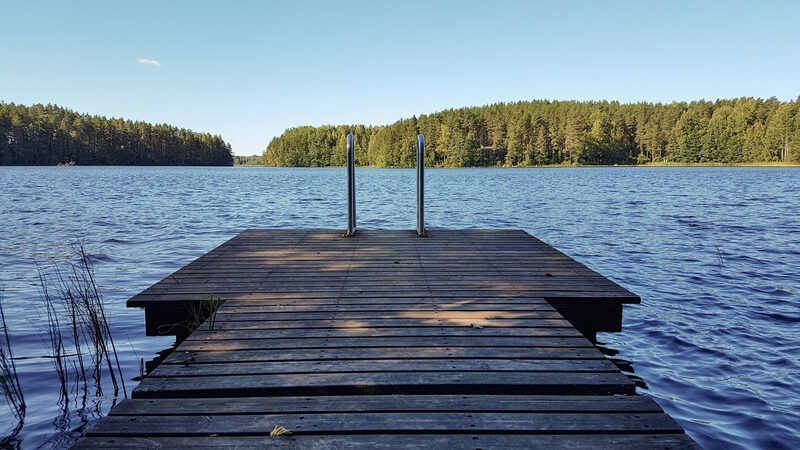 In addition, one of the best National Parks in southern Finland called Repovesi is located only about 30 min drive from Verla.